Need to store or transfer data? Forget those dull, branded USB drive freebies. And instead, make a statement with one of these 10 creative designs. Who says that office equipment and accessories need to be serious or worthy? We’re always looking for fun ways to brighten up our office and working day. Which is why we love these creative USB drive picks from Custom Gear. A USB drive is more than just a tool to store and transfer data – they’re also an easy way to reflect your personality, and even promote your brand. From cute movie characters, to designer key rings that wouldn’t look out of place swinging from your handbag, there’s an almost unlimited number of designs you can choose from. Here are 10 creative ideas to help inspire you. Darth Vader, the Dark Lord of the Sith invades once again – this time in the form of an 8 GB USB flash drive. This is a real treat for Star Wars fans. You can buy it here. Fear not! This rather scary looking totem is not here to turn you into a zombie, but to help you store your precious data. This 4 GB drive also contains wallpapers, screensavers, and avatars. You can see other variations like this here. Designed by Marc Jacobs, this 2 GB drive is meant to be a romantic souvenir for couples. You might also like this Kylie Minogue USB. This 4 GB USB is designed in the form of Batman, and comes loaded with wallpapers, screensavers, and avatars. A Blue Batman Mimobot definitely looks good. This USB is shaped to look like a traditional incandescent bulb, something similar to what was invented by Thomas Edison. It is lightweight and comes in different storage capacities. Are you a fan of Coca Cola or Pepsi? If so you’ll want to snap up one of these USB key rings. Available in different storage capacities here. This 4 GB USB looks like a small hand grenade – perfect for scaring someone on April fool’s day. Have a blast with this USB grenade. Aways fancied owning gold bars? Now you can! (Or at least, a gold bullion USB drive). Available in a variety of different storage sizes here. 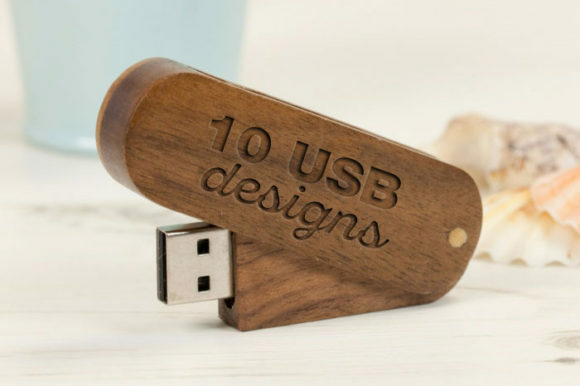 If you’re partial to religious emblems, you may like this wooden cross USB drive. Buy a holy cross USB. If your kids are always pestering you for a pet, appease them with this cute and funny little green turtle USB. The memory capacity is 4 GB.